Justin Thomas maintained a firm grip on the CIMB Classic title after shooting a superb eight-under-par 64 for the joint first round lead at TPC Kuala Lumpur on Thursday. The 23-year-old Thomas overcame searing heat and humidity in the Malaysia capital by shooting nine birdies against a lone bogey where his brilliant start was matched by countrymen Keegan Bradley, who threw in an eagle in his round, and Derek Fathauer in the US$7 million tournament sanctioned by the PGA Tour and Asian Tour. England’s Paul Casey, the world’s number 12, shot a 65 to trail by one while reigning Asian Tour number one Anirban Lahiri of India, runner-up in Macao last weekend, shot a 66 which included two closing bogeys. 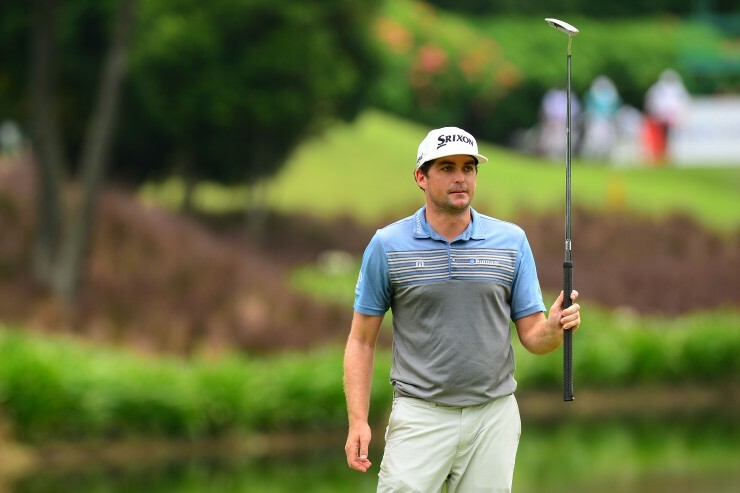 Spaniard Sergio Garcia, Australian Aaron Baddeley and American duo Brian Harman and Brendan Steele all shot 67s to stay close to the leading trio at the CIMB Classic, the only PGA Tour-sanctioned tournament in Southeast Asia. Thomas picked up from where he left off last year, opening his defence with a birdie on the first hole which set the tone for the rest of the day. “It was solid. If there’s such a thing as an easy eight-under, it was. I wedged it great. I took advantage of the first three par fives. I just hit a terrible three-putt on the first par five, number three but I just kind of went along my business. I was just very comfortable and I hit it in there close a couple times and made a couple putts. It was a pretty low-stress day,” said Thomas. His biggest challenge came from the harsh playing conditions, with temperature rising to as high as 33 degrees Celsius. “I felt really weird to start the day. I told Jimmy (his caddie) I felt kind of like ‘Jello’ and I just felt weak, but I just tried to drink as much water as possible,” said Thomas, who won last year with a tournament record of 26-under-par 262. Major winner Bradley, seeking a fourth PGA Tour win and his first since 2012, soared with an eagle on 10 and believes he needs to keep his foot on the pedal to have a chance of ending his drought. Like Thomas, he found the weather tough to handle. “This is extreme. This is really hot right now,” said the 30-year-old. Casey, with four top-fives in his last four starts on the PGA Tour, overcame an early bogey with eight birdies, including four in his last five holes, to get into the mix. “Stayed really patient. We know what the scoring is around here. You’ve got to think it’s going to be low again,” said the 39-year-old. Asia’s leading performer was Lahiri, who had birdied his last seven holes in Macao last weekend but lost in a play-off. The tenacious Indian, who safely kept his card on the PGA Tour in the recent season, was hot at the start, hitting seven birdies in his first nine holes at TPC KL, a venue which he won the Malaysian Open last year. “I feel quite disappointed actually. You know, that front nine, I could have done a lot more and to finish the day like that (with two bogeys) is obviously a bitter taste in my mouth. But it’s still a decent start. I would have liked to definitely be a couple shots better, if not three. But it’s one of those courses where you have to just keep making birdies and keep going low,” he said. 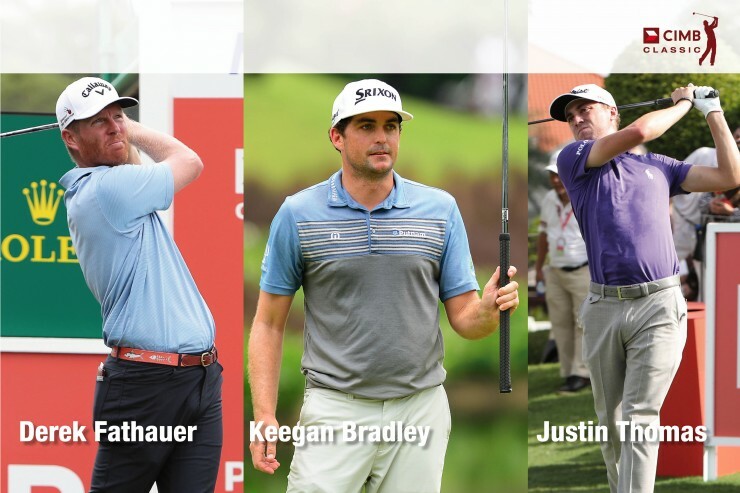 64 – Derek FATHAUER (USA), Keegan BRADLEY (USA), Justin THOMAS (USA). 65 – Paul CASEY (ENG). 66 – Anirban LAHIRI (IND). 67 – Sergio GARCIA (ESP), Brian HARMAN (USA), Aaron BADDELEY (AUS), Brendan STEELE (USA). 68 – Harold VARNER III (USA), Scott PIERCY (USA), Patrick REED (USA), Jamie LOVEMARK (USA), Charles HOWELL III (USA), Kevin KISNER (USA). 69 – Marc LEISHMAN (AUS), Tyrone VAN ASWEGEN (RSA), Tony FINAU (USA), Hideki MATSUYAMA (JPN), Ryo ISHIKAWA (JPN), Rafa CABRERA BELLO (ESP), Spencer LEVIN (USA), K.J. CHOI (KOR), James HAHN (USA), Kevin CHAPPELL (USA). 70 – Sunghoon KANG (KOR), Daniel SUMMERHAYS (USA), Patrick RODGERS (USA), Smylie KAUFMAN (USA), Siwoo KIM (KOR), David LINGMERTH (SWE), Branden GRACE (RSA), Alex CEJKA (GER), Ernie ELS (RSA), Kyle REIFERS (USA), Younghan SONG (KOR), Jim HERMAN (USA), Russell KNOX (SCO), Adam SCOTT (AUS), Jeunghun WANG (KOR), Billy HURLEY III (USA), Kevin NA (USA), Zac BLAIR (USA).